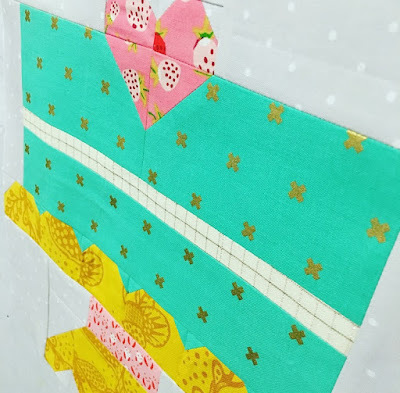 kelbysews: Let Them Piece Cake! As the saying goes, "Let Them Piece Cake! ".......or it would have gone like that had a quilter said it! 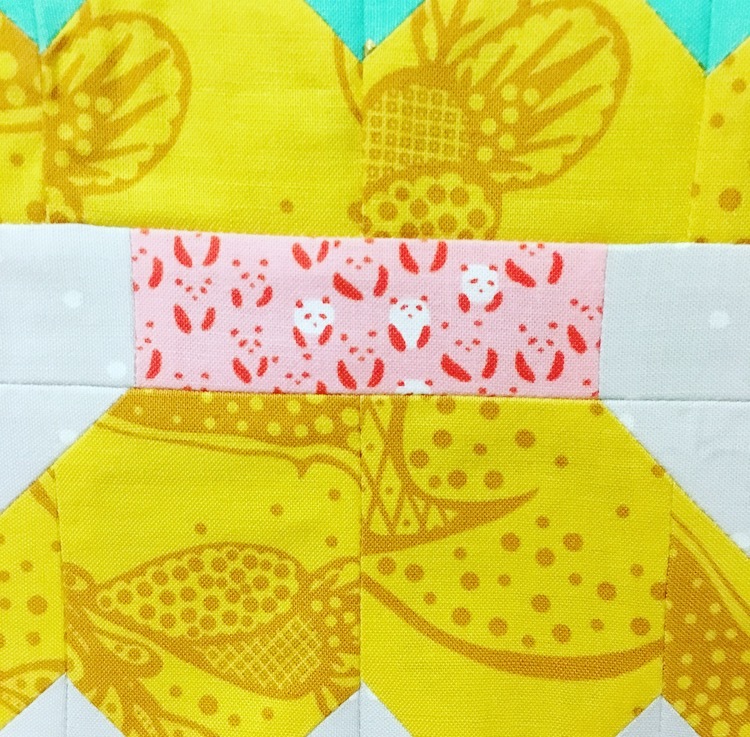 Isn't this block adorable?!?!? The lovely Lori Holt is at it again! 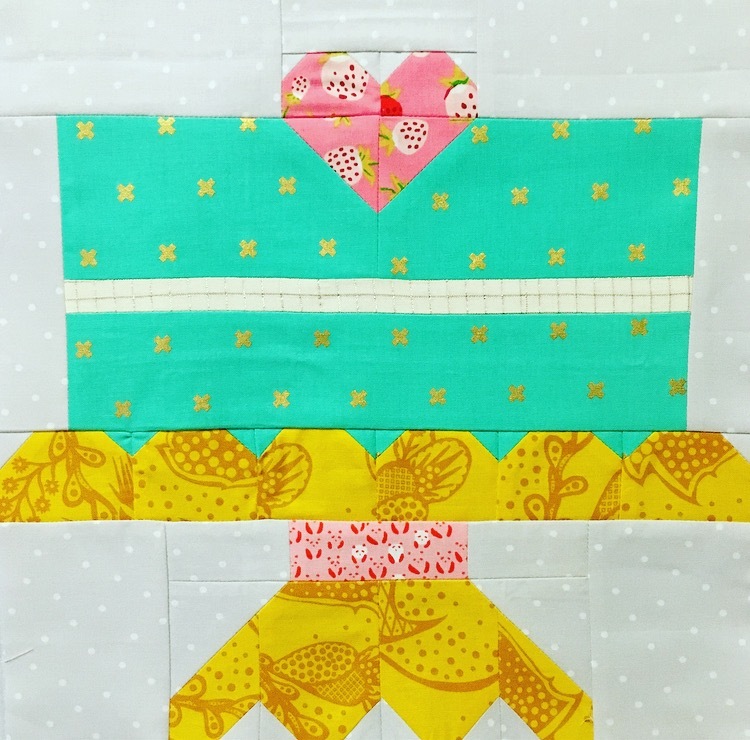 To celebrate the one year anniversary of the Vintage Farm Girl, she's teamed up with Fat Quarter Shop to bring y'all this yummy block! Check it out for free HERE!!!! I decided to make mine with some Cotton and Steel aqua and metallic gold for the cake, Anna Maria Horner Loominous woven for the middle icing, Anna Maria Horner Good Folks for the cake stand, Heather Ross Briar Rose for the heart, and Alexia Abegg Paper Bandana for the cut panda cake stand accent. You can go crazy creative or sweet and traditional with this block! How cute would this be for a birthday placemat? Each member of your family could have their own, personalized for them!!! OMG! I totally came up with that while I was typing and now I have new projects on my to-do list! 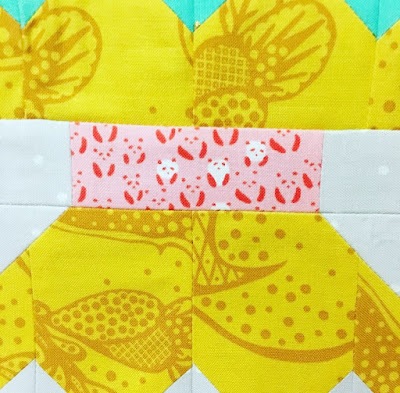 Be sure to check out all the blogs below for more variations of this tasty block! Every cake stand needs pink pandas, right? Please tell me it's not just me! This craft is so amazing and stunning..I really like these types of colorful art show pieces..Thank you very much for sharing.keep posting this amazing stuff.